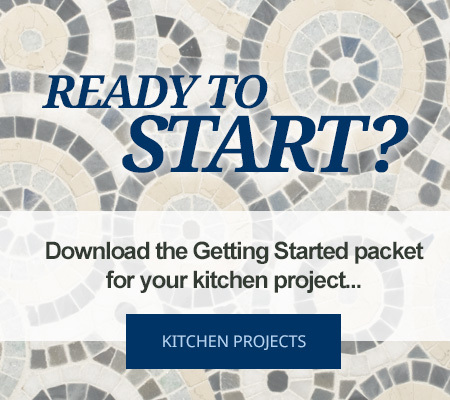 With hundreds of products on the market, kitchen and bath remodeling projects can be a daunting undertaking. Kitchen & Bath Gallery strives to take the uncertainty and stress out of the design process with a thorough review of your project, your style and your space. Below are a sampling of the questions we'll be asking, but if you're ready to move forward we'd suggest downloading a Getting Started information packet to the left. 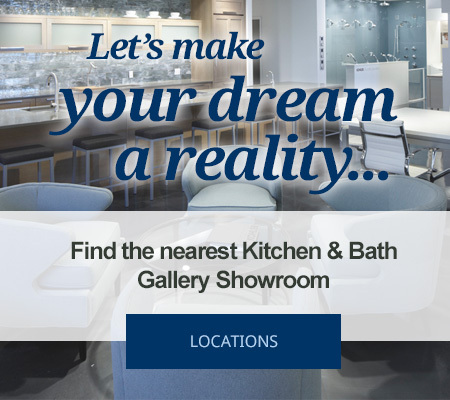 * Walk-ins are welcome at Kitchen & Bath Gallery, but appointments are recommended for our undivided attention. Please call your local store for details. The first thing that we'll need is an overview of the project. It's critical that we understand the basics of what you're looking to do to help facilitate the process. Your answers to these questions will help us to understand the scope of the work that needs to be done. Is this a remodel or a completely new space? Are we working on a kitchen or bathroom, or both? How much time is available to complete the project? Help us to visualize your dream space! Our designers will have questions about your own personal style - is it traditional or modern? Casual or formal? We'll also begin to understand your lifestyle and the best ways that your new space can accomodate family and other visitors to your home. What style have you always wanted? Do you do a lot of entertaining? Are there any handicapped members of your family? Your existing space will guide some of the decisions that need to be made, so it's important to consider its layout and function. Measurements and photographs will be extremely helpful as well (but we can help you with those for an added In-Home Consultation fee). What do you like about your current space? What do you dislike about your current space? Do you need to increase storage within your space? Can you take measurements of your space? To Tub or Not to Tub? That is the Question.